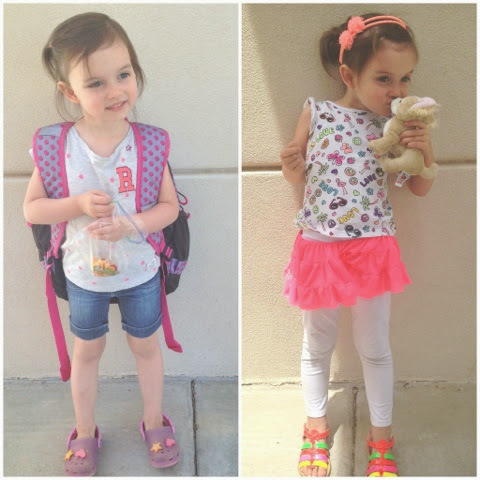 The not so perfect preschool fashions brought to you by Reegan. Because I don't ever want to forget these moments. So many times I wanted my baby to look picture perfect. I tried my best to have her hair done and outfit perfect before I was off to work...ESPECIALLY on days she was going to school. You know because if her hair was styled and outfit mega cute that means that I'm a good mother. 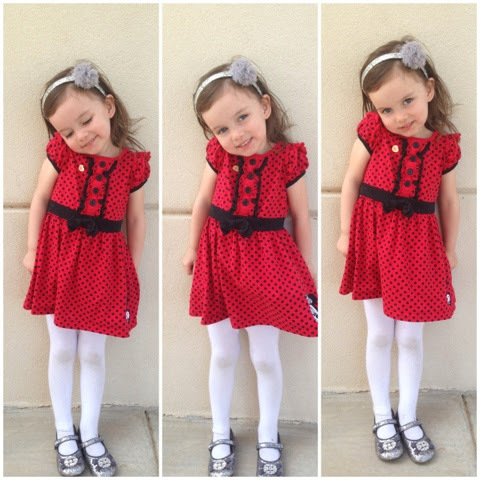 Because why would any decent parent send their kids to school looking like the picture below (please note that I had actually put an outfit together that was perfect but she went ahead and modified it and daddy let her.) But now I find that my favorite outfits/pics are those that aren't so perfect. Daddy said, "I am fueling her creative spirit!! Don't judge." I'm thankful for a hubs that did just that...what a humbling moment/statement. 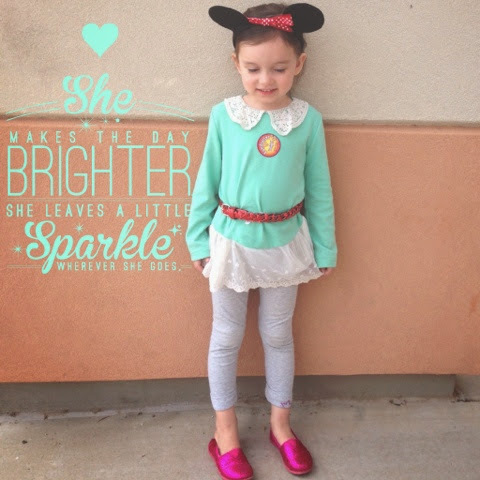 And of course this crazy day outfit worn on a non-themed day made it right to the top of my Preschool Fashions post. What a blessing! I mean how could you not love these types of outfits?! The mismatched looks and the dirty knees are too much!!! 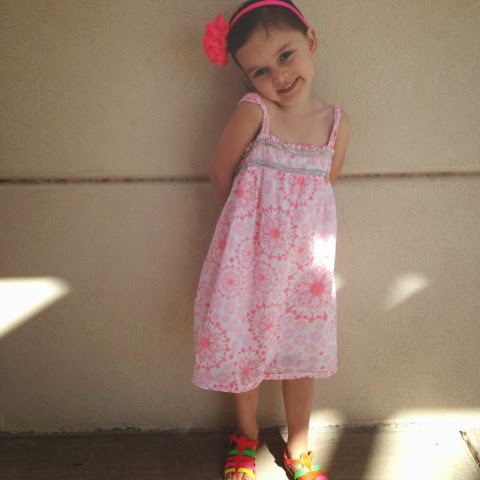 I love that she proudly poses in her favorite outfits and would even stop at this same spot so often and say, "Mom take a picture of me!" It so easy on Instagram and Facebook and Pinterest to look at perfectly styled kiddos (looking better than their own parents and having better closets too) and think how come my kids don't look like that?! Then I stop and think wait a minute is that what's really important...how my daughter looks?! No not at all. I truly believe comparison is the thief of joy so I try more now to ask her how she wants her hair (Queen Elsa braid all day every day!) 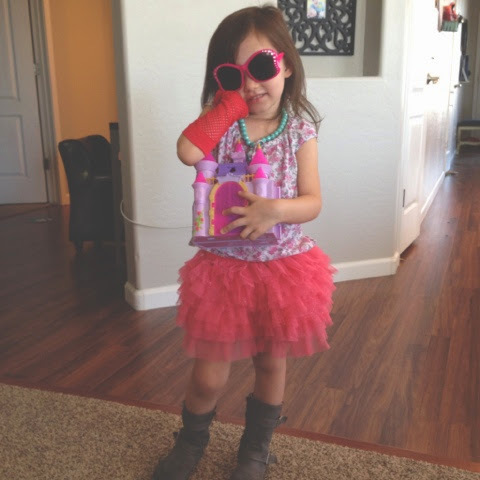 or what she wants to wear (Dresses, skirts and fancy shoes ALWAYS.) I still have to reel her in sometimes but I love that she is more involved. Anyways I just wanted to quickly share some more of my favorite parts about PreK and thoughts on what I'm teaching my daughter about her values/the woman she will be one day. I hope she will be comfortable in her own skin and know it's not about the clothes we wear but who we are that mean the most in life. Not from preschool but I obviously had to include it here!